I love living in California by the coast because each beach town is so unique. Just half an hour drive in any direction can take you into another city with a whole different look and feel. 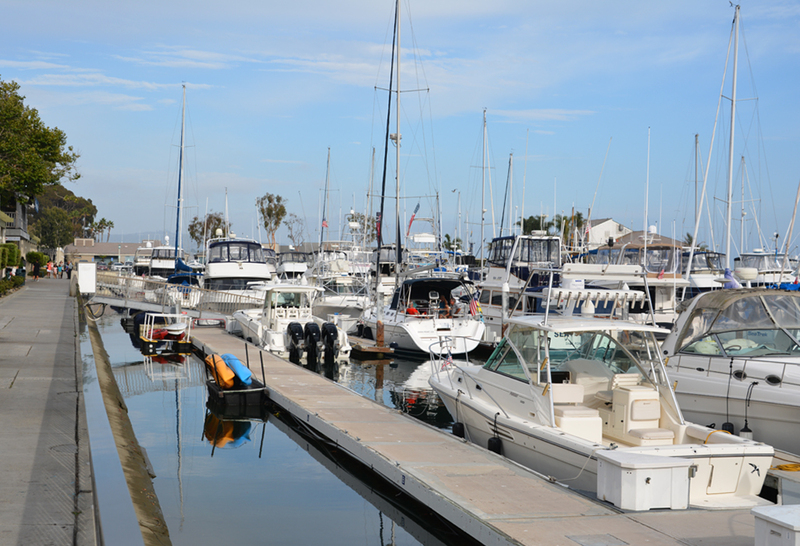 Such is the case with Dana Point Harbor which is about a 35 minute drive from the smaller Oceanside Harbor and about the same distance from the larger Newport Harbor. The city if Dana Point is only a few minutes from the Interstate 5 off-ramp, making it easily accessible. Although the harbor is filled with tons of things to do, to me it always seems less crowded than even the smaller Oceanside Harbor and definitely less than Newport. 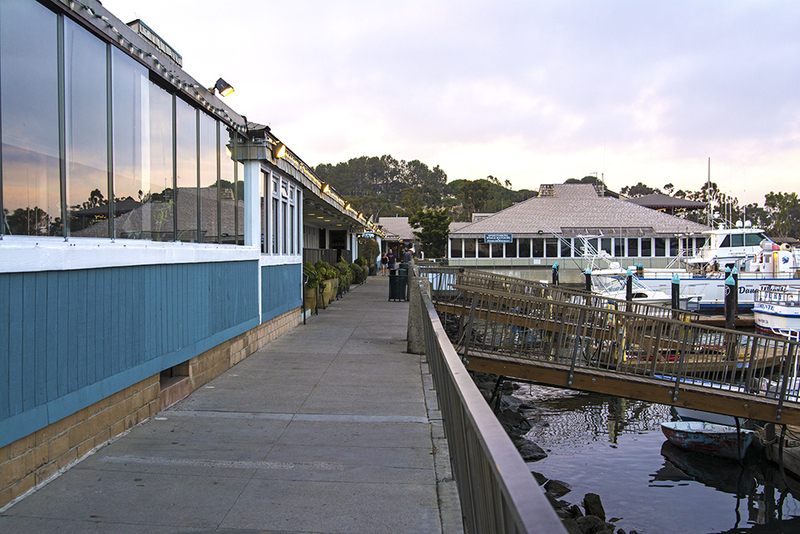 You can easily stroll along the bay-side walkway with just a few people in your path. 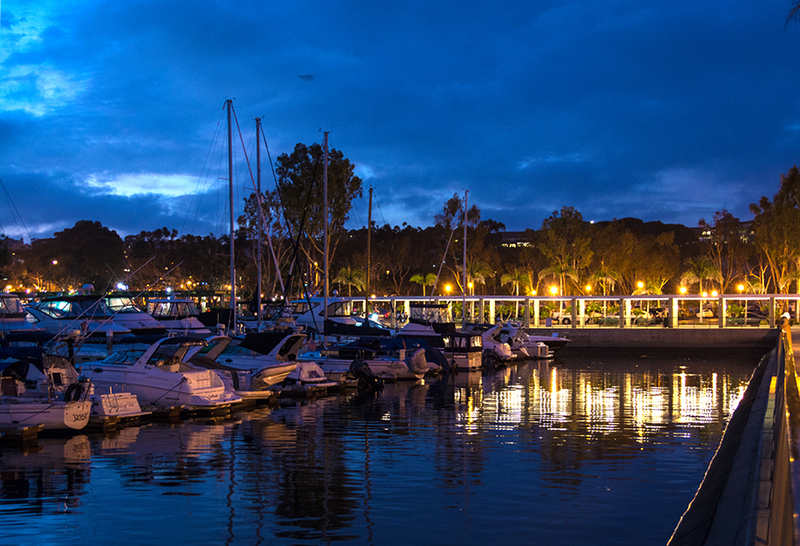 The tranquil scene of moored boats and the calm harbor makes for a relaxing time. I actually had the pleasure of going to Dana Point Harbor twice in one week even though it is forty minutes from where I live. The first night was for a last minute decision to catch the sunset from a different vantage point and the other was to have dinner with a long time friend. 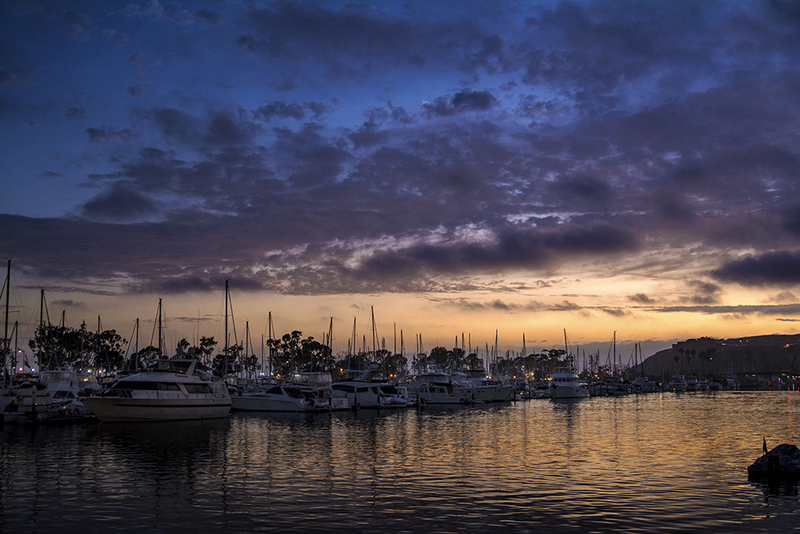 The first night we concentrated on the north end of the harbor with our destination of Dana Point Headlands Beach. 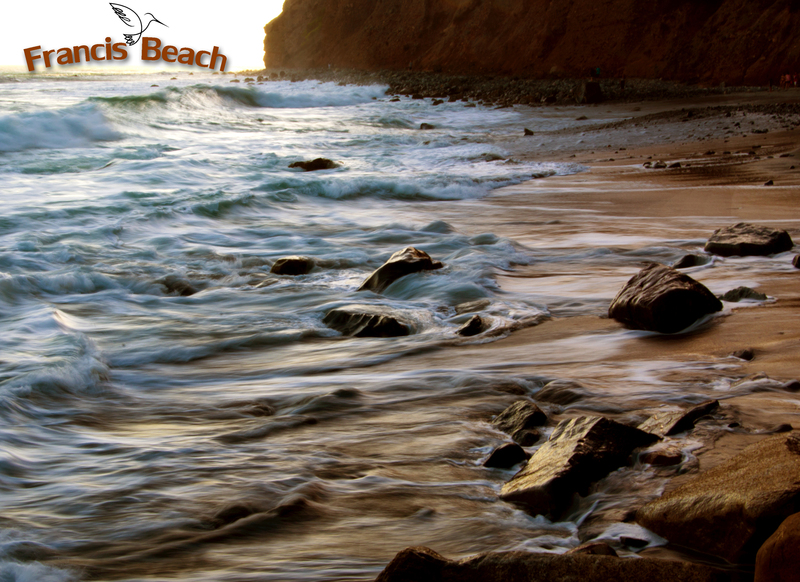 The beach sits at the end of the outer jetty and is a great place to sit back and enjoy the sunset or the ocean. I have dubbed it Francis Beach as a tribute to a wonderful lady whose ashes were spread out to sea nearby. As it turned out, we didn’t see much of a sunset as the sun was blocked out by a large cliff to the north. We were content just watching the waves crashing over the rocks and the smell of the sea air. 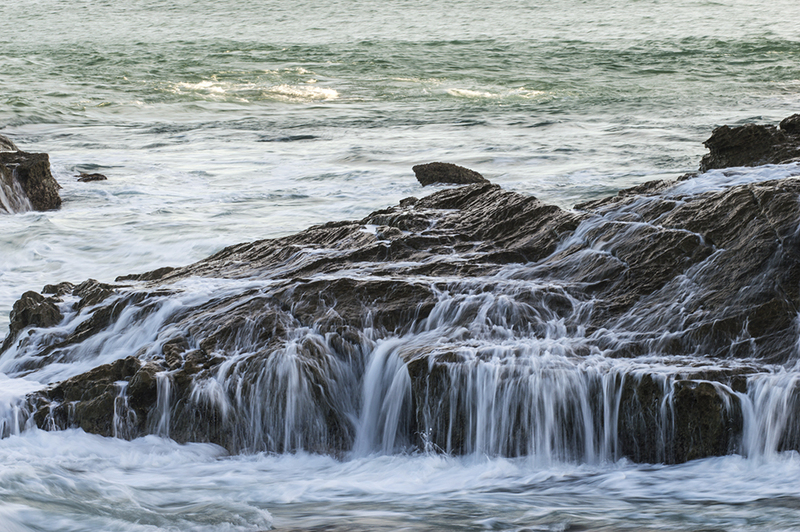 The breakers were gently rolling over the off shore rock formations giving an appearance of dozens of tiny waterfalls. 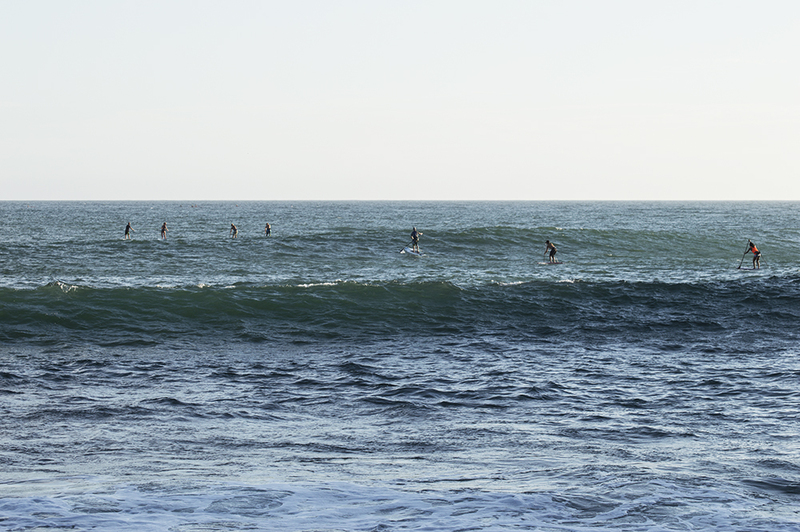 A handful of stand up paddle boarders were headed out to sea to enjoy the calmer waters near the jetty while in contrast, boats were making their way back in for the evening. 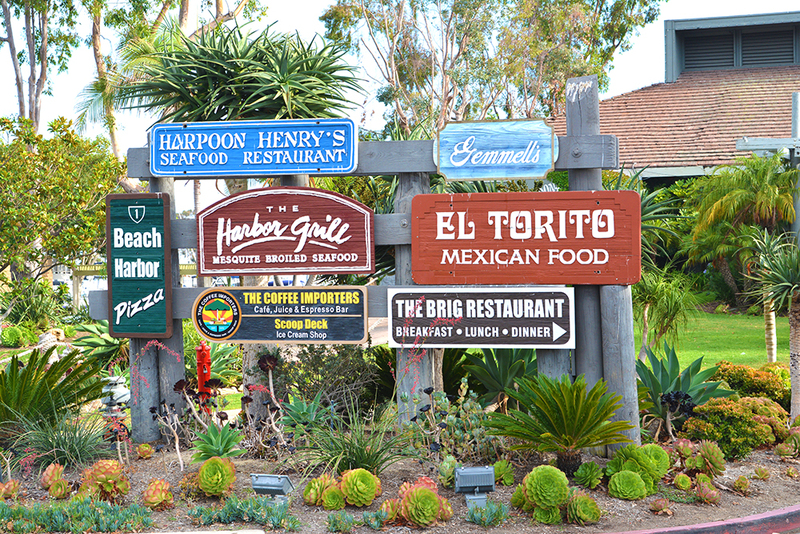 Dana Point Harbor is home to a variety of restaurants and quaint cafes with many of them sitting at water’s edge and a view of the marina. There are unique shops and boutiques as well as rental places for any type of watercraft. Excursions to Catalina are available and whale watching tours are popular in the migration season. 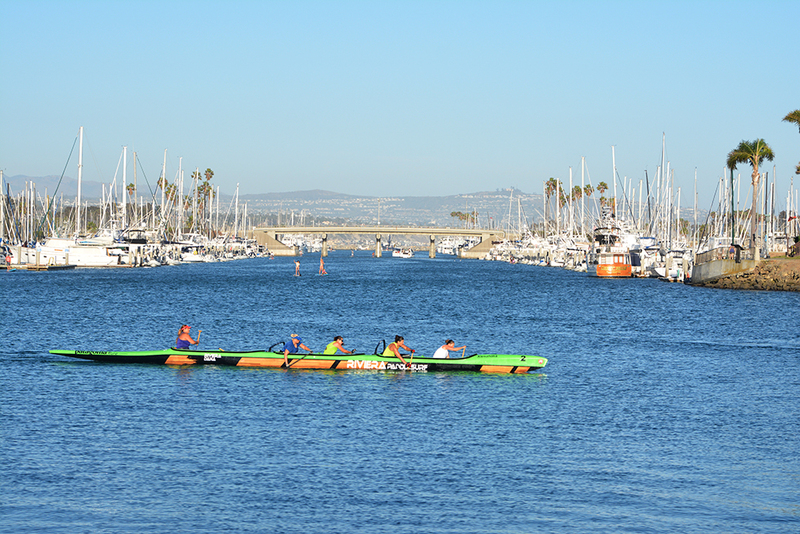 Although they have a boat ramp on the south end of the harbor, Sup and kayak riders can launch their craft down the road at Baby Beach where the water is calm and a perfect place for families with kids. Baby Beach, a great place to take your family. Calm water, no waves. 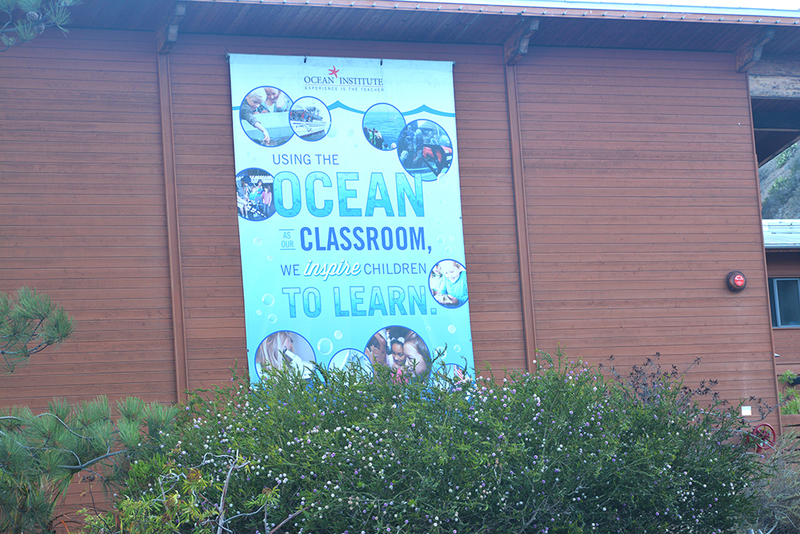 Nearby sits the The Ocean Institute with its hands-on educational sea exhibits, children’s day camps, overnight trips, boat excursions, and other various educational resources. The institute is also home to the ship called the “Pilgrim” which is a full sized replica of a 19th century sailing ship. 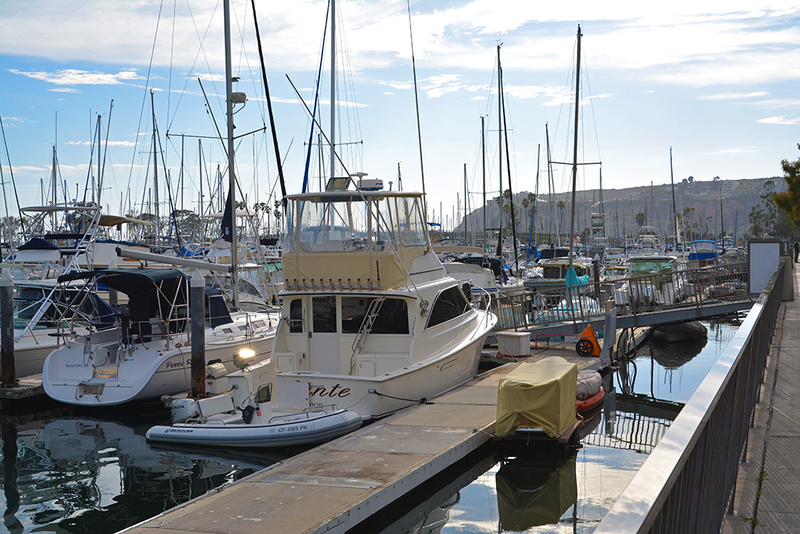 Dana Point also hosts many festivals including the annual Festival of Whales, Thanksgiving Turkey Trot, Christmas Boat Parade, Classic Wooden Boat Festival, and many others. 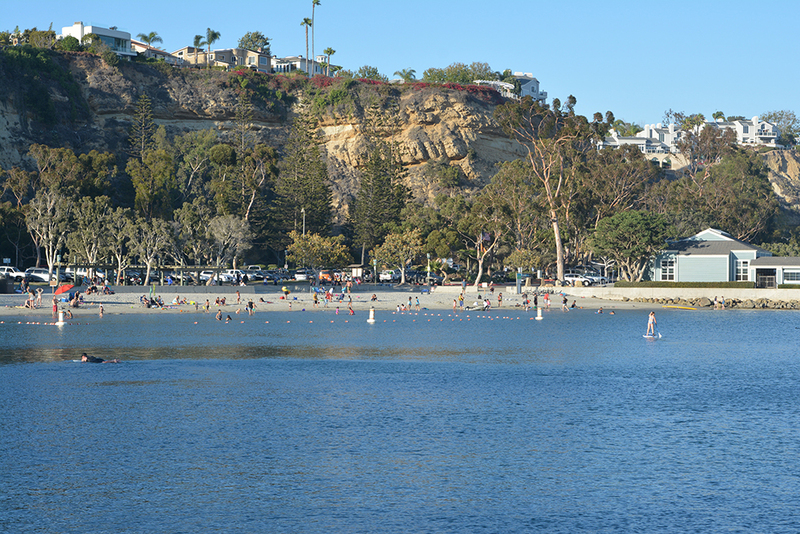 The harbor is also close to one of my favorite surfing beaches at Doheny State Park. Up the hill from the harbor, the city itself has hotels, restaurants, shops, etc. 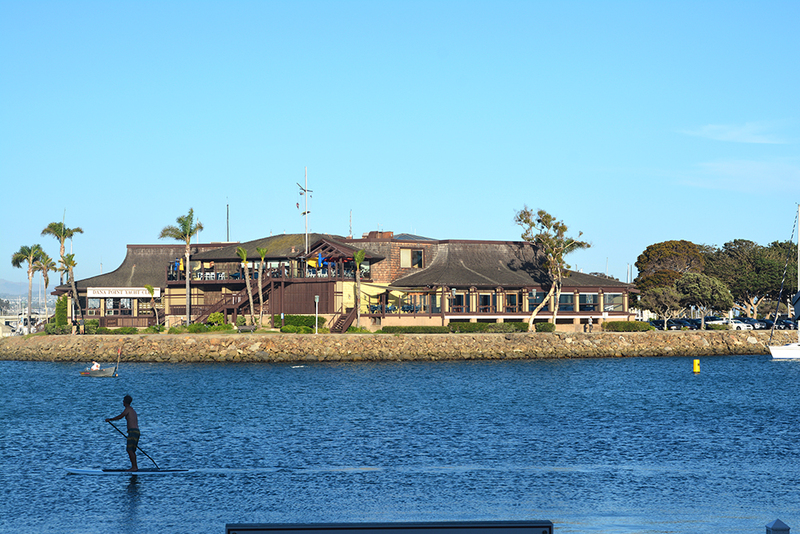 So there is plenty to do in Dana Point even if it is just for a couple hours. A day or even weekend staycation would be even better as it is a water wonderland with surfing, stand up paddling, kayaking, Sea-Dooing, boating, or enjoying a meal or two. I think I may have just talked myself into going again this week. 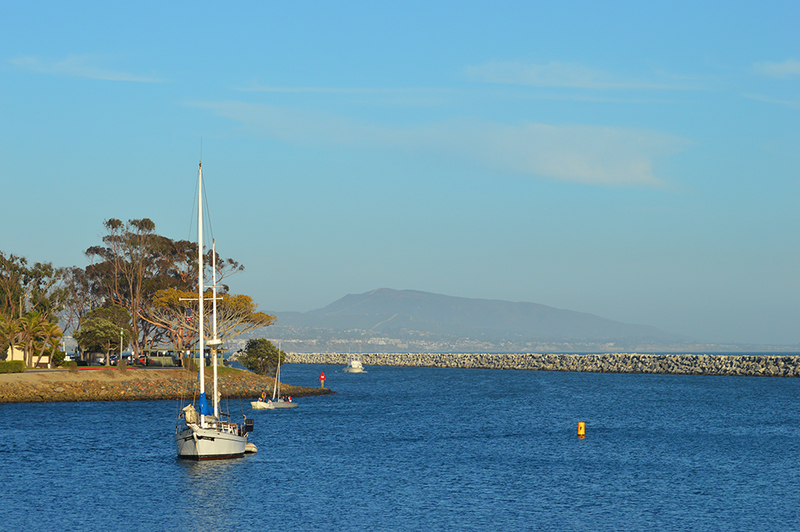 Anyway, I think you will love Dana Point Harbor and the surrounding area, so give it a try. 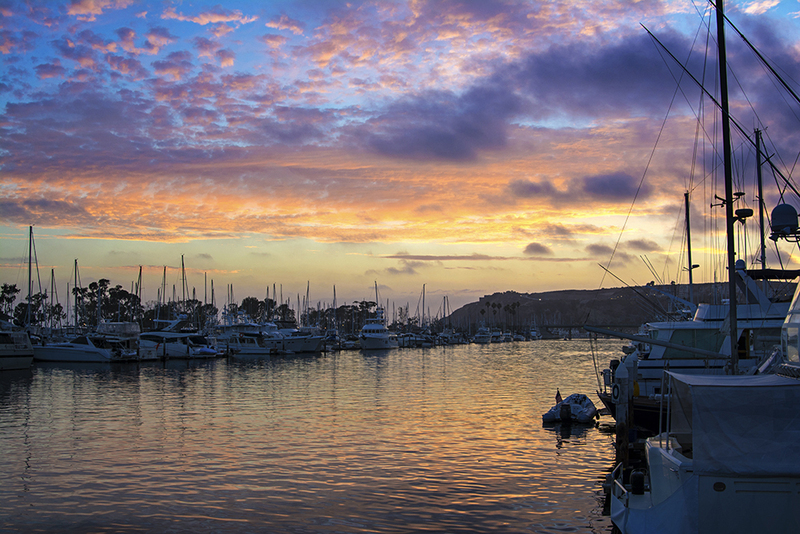 Next PostNext California Lands Three of the Top 10-Family-Friendly Fishing Spots in the U.S.